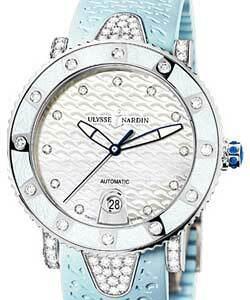 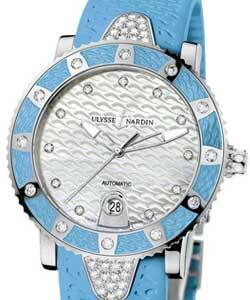 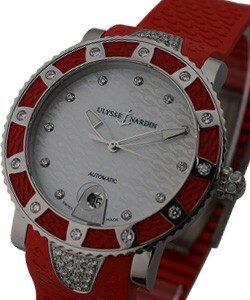 This watch is also known as: 8103-101-3-02 , 8103-101-3_02 , U8103-101-3-02-SD . 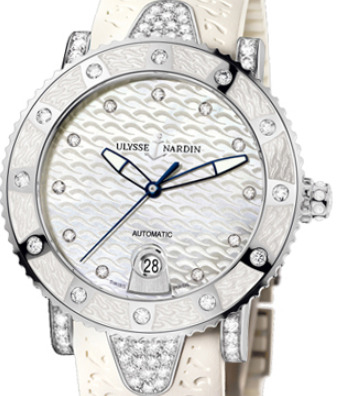 If you want to experience comfort in style, this Ulysse Nardin Lady Diver Model # 8103-101-3/02 is probably one of the models that best suits you. 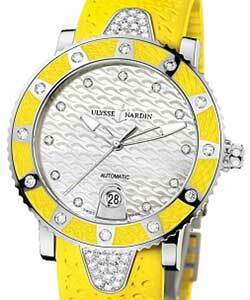 Powered by an Automatic self-winding movement mechanism, this Ulysse Nardin Lady Diver Model # 8103-101-3/02 is surrounded with a stainless steel casing and has a case diameter of 40mm. 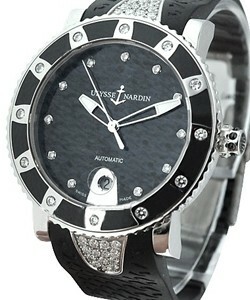 Tagged as one of the hippest model in the Lady Driver collection, this Ulysse Nardin Lady Diver Model # 8103-101-3/02 displays a unique midnight black with a wavelike pattern and accented with luminous geometric hour markers. 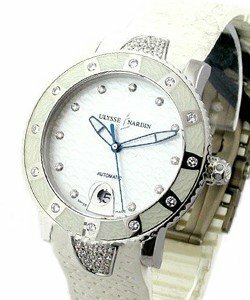 This semi-rugged timepiece has a date window on the 6 o?clock position. 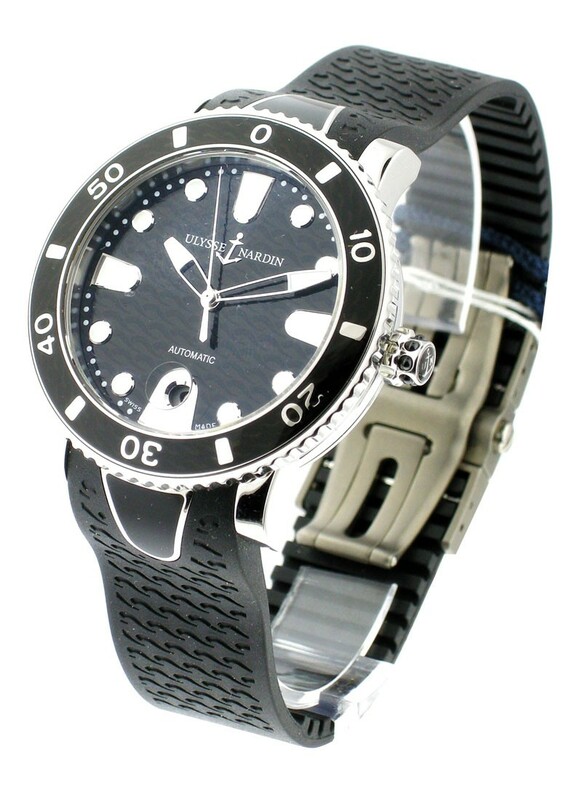 Harmoniously attached to a black rubber strap with grid effect, this Ulysse Nardin Lady Diver Model # 8103-101-3/02 is surrounded with a double folded deployment clasp.